General Conditions and offers have been prepared in Spanish, which is the prevailing language, serve exclusively as any other version of the previous translation without legal effect. - The customer when accepting Bodega Guadalest′s deliveries, the totality of the terms of General selling conditions is welcoming, and he obligates himself to coming true. Only modifications will be valid to General selling conditions, if these have the consent of both parts, in writing and signatures for representatives with powers enough. - The customer will be able to yield, transferring, or broadcasting outsiders, the rights, responsibilities and liabilities, acquired in the present contract. - If any stipulation be considered void, illegal or of impossible fulfillment, this will not affect validity and efficacy of the remaining requirements of these selling Conditions Generales. 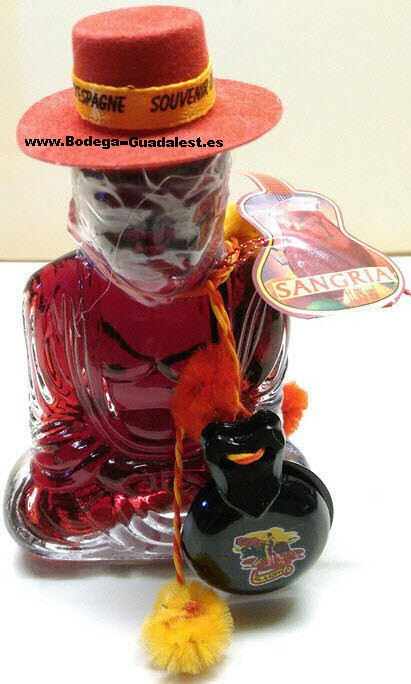 -Bodega-Guadalest.es only accepts orders within the Spanish territory, we do not ship outside Spain. - The pricing included in Bodega-Guadalest.es′s electronic commerce are subject to variations without previous ad or typographical error. - Bodega-Guadalest.es reserves the right to update the pricing daily at any time and without previous warning. - The individual pricing out of every one of products come reflected with VAT. This commerce does not have provision for the % of surcharge of equivalency. Therefore, those clients that they have it, they will have to add this % more to the total sum of the order that they realize. - The customer must check than the merchandise that it come to him after purchase, it corresponds with her requested, he takes part in the invoice and his presentation is correct, status, documentation and packing. In order to admit reclamations in this respect he must state it plainly in transportation′s invoice and to communicate it in the term of 24 hours from the reception of the same. - In the event that the Bodega-Guadalest.es had authorized conditions of credit to the customer, a payment will not be considered accomplished until he get ready of the total of the total sum. An amount due is considered when once sell-by date of the invoice was attained, this is not in his totality at the service of Bodega-Guadalest.es. - The total sums conquered and paid by the customer, they will earn from the date of his expiration, a moratory interest of the 2 monthly %. Expenses produced by the non-payment will be the customer. You invoice them of concern of delay and banking return, they will pay the installment. Bodega-Guadalest.es will be able to apply any total sum that he receive of the customer any outdated previous invoice. He will be able to destine the collection of payment in the first place to cover up costs, expenses, moratory interests, if he have them, and last of all the principal one belonging to the debt. - Bodega-Guadalest.es holds back the ownership of the property of all of the products that he commercializes, until his total sum had been satisfied entirely; In spite of the fact that the product would have been delivered to the customer. - The delivery of material will accomplish in the indicated direction for the customer upon making the purchase or else the one that figure in our data base itself. - All orders that they come true as from the 12:00 hours of Thursday they will be sent on Monday in the morning, since the weekend does not have transportation. - In case of litigation, contracting parties submit to Courts and Alicante′s Tribunales, with expressed resignation of any other jurisdiction that he may reciprocate one′s love to them. - Clients will be the responsible as to good use and confidentiality with the fact that they treat the password that to for to be able to utilize the electronic commerce. - Navigation with cookies: Our page utilizes cookies to identify the user, and for the contents of the car of purchase. - Treatment of the data of personal character: Bodega-Guadalest.es is proprietary of the data of personal character that users have supplied themselves. Bodega-Guadalest.es commits himself to treating these data with confidential character himself, and will embrace all of the necessary media that they be within reach for it. The customer accepts that all data supplied in his moment are right and authorizes Bodega-Guadalest.es to that he incorporate them to a card index to be able to keep him informed continuously of any new thing, pricing, technical bulletin, etc that they may become of his interest. - Our system has an one belonging to safest technologies as to data protection of its credit card it is referred, obeying all of the international standards that legislate the matter. - The system SSL, utilized for us, encode all of the data doing them indecipherable to any outsider, of form than the payment or his data travel of safe form. He has to do with the standard technology of certainty in Internet, Secure Socket Layer, which applies a system of encryption to provide the maximum confidentiality of the data than they transmit themselves for her. The encryption consists in encoding data with the aim of impeding the illicit entrance in a system or the interception of data while they circulate for the net. So that they will encrypt his data in the point of shipment and they will decipher to his data in our system in the one belonging to destination, so that only we will have access to his data in our system access. For bigger certainty, these data will be stored in a secure server protected by a firewall or a safe barrier, in continuous vigilance against any intrusismo′s attempt. How do I know that I find myself in a protected zone? The habitual symbol utilized in Internet to suggest that it is found at a zone specially protected is the one with a little icon browned in the bottom part of the visual display screen. When this icon be visible, it means that all information of those pages is absolutely confidential.